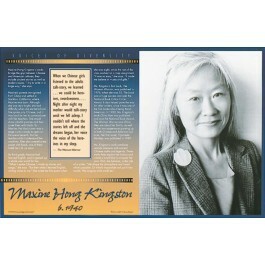 This educational poster of Chinese-American writer Maxine Hong Kingston features a striking photo of the author, along with biographical text of her life and work, and an excerpt from her book "The Woman Warrior." 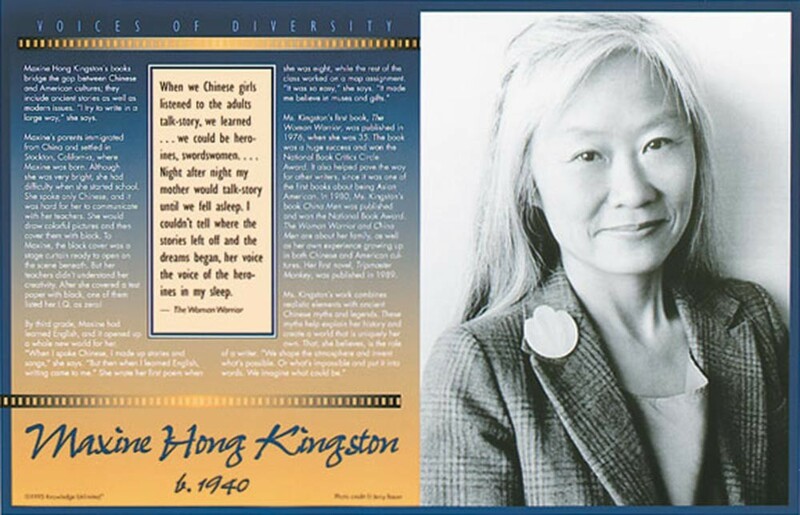 Ms. Kingston's first book, "The Woman Warrior," was one of the first books about being Asian American. In 1980, her book, "China Men," won the National Book Award.